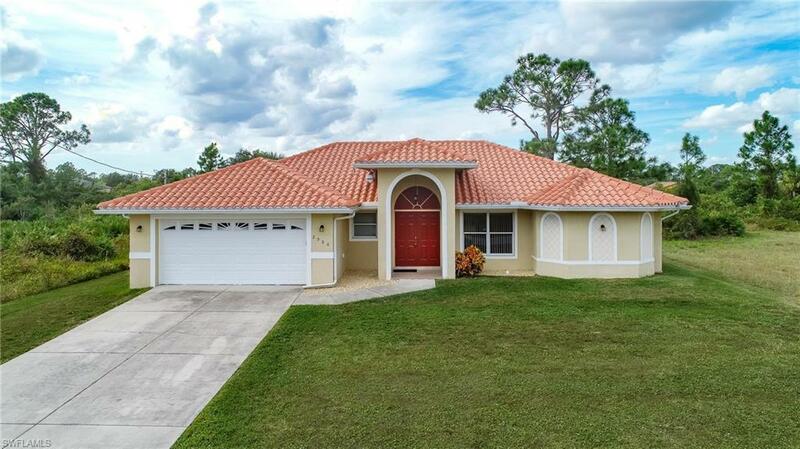 Fabulous custom built home with a BRAND NEW TILE ROOF & A/C. 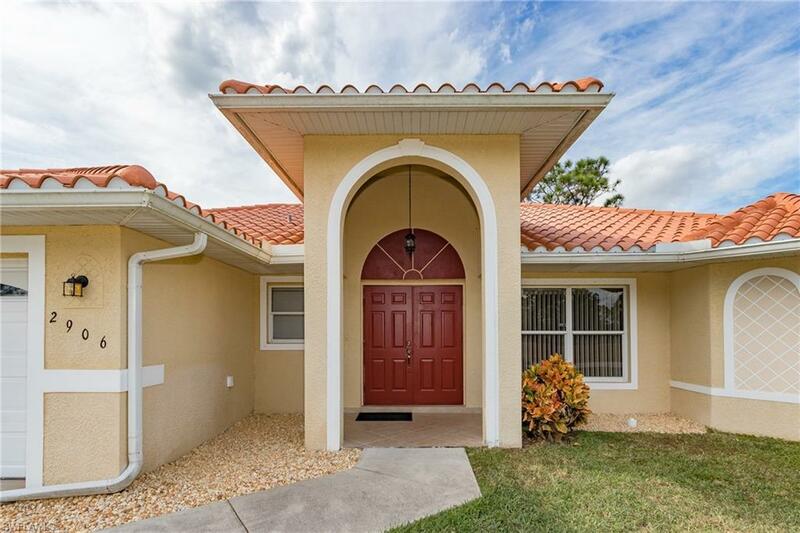 It has 3 bedrooms, 2 baths, and a great floor plan. You can choose to dine formally in the front of the home, the kitchen, or at the granite breakfast bar looking at the custom cabinets and nice view out the windows. 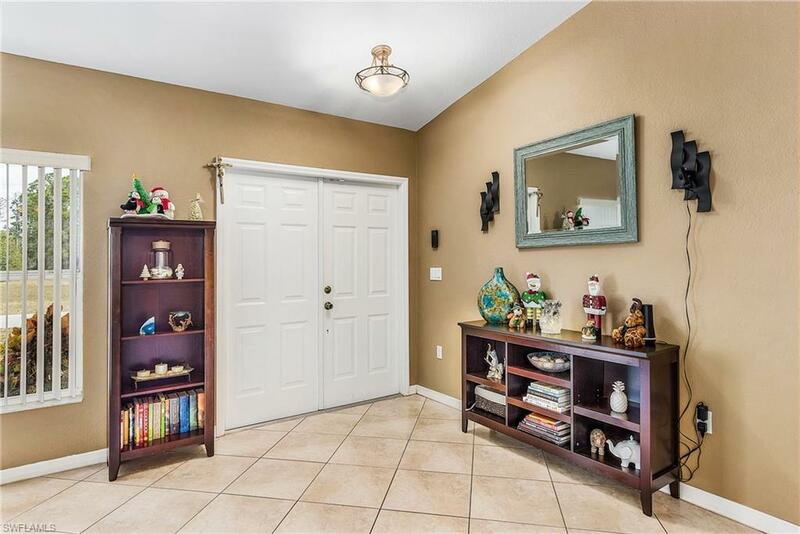 It boasts vaulted ceilings, all tiled floors, almost 1900 SF of living area situated on a dead end street with plenty of privacy. 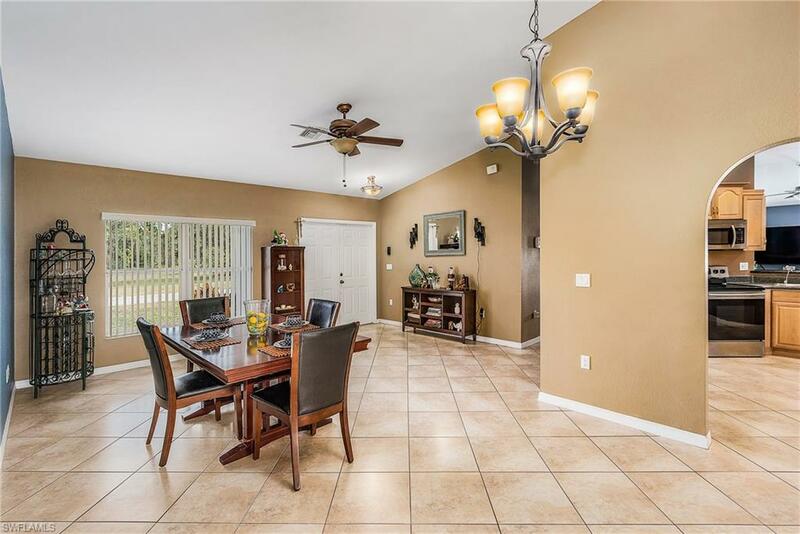 The location is prime for a fast commute to Fort Myers and all of the shopping, entertainment, gulf beaches, parks, universities, and spring training facilities that are a part of SW Florida living. The huge lanai is over 33' in length, has new ceiling fans and double locking sliders from the living and master bedrooms. There is plenty of room for a pool with an exit door already in place from the granite and tiled guest bath. The master bedroom and bath also boast granite counter tops, built in vanity, his and her closets, custom tiled shower and a linen closet. There are extra large closets in all bedrooms, new light fixtures, recessed lights, newer disposal, water equipment & heater & stainless steel appliances. New drain field in 2016. PRIOR APPRAISAL CAME IN AT FULL PRICE. Listing courtesy of Andrea Errico-Kinney of Jones & Co Realty.